How one gets to Turks and Caicos might seem obvious: Airplane. However, there are numerous ways, including many direct flights from the US. In this post, we’ll touch on each of them while saving the flight information until the end. 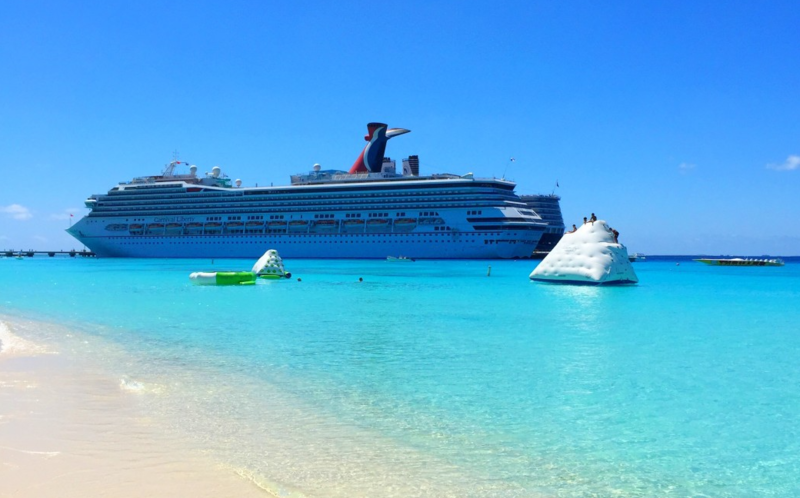 Cruise Ship: Six different cruise lines (Carnival Cruise Line, Costa Cruises,Crystal Cruises, Holland America Line,Princess Cruises, and Silversea Cruises) include Grand Turk as a destination during cruises ranging from 5 to 21 days. Depending on how much excursion time you are permitted you could check out one of the local beaches on Grand Turk or catch a quick 30-minute flight on InterCaribbean Airwaysto Providenciales for a visit to the world famous Grace Bay Beach. Private Boat: Perhaps you are a sailor at heart and island hopping is your calling. If so, be sure to include some time in the Turks and Caicos Islands. Did you know the Turks and Caicos is comprised of approximately 40 islands but only 8 of them are inhabited which leaves plenty of quiet beaches and calm coves to cruise around. Once you arrive in the islands, be sure to check-in at a port-of-entry. 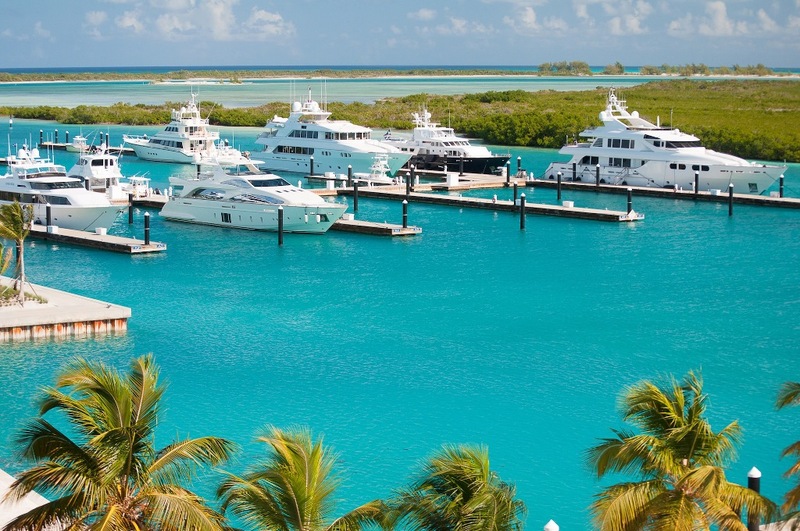 There are many marinas on Providenciales and Grand Turk, and one each on North Caicos and South Caicos. The harbormaster at the port of entry has the authority to grant entry for one-week. If you wish to stay longer or cruise among the islands, you must get a Cruising Permit (valid for 90 days), and/or visit one of the immigration offices on Providenciales or Grand Turk. Airplane: Providenciales International Airport (abbreviation: PLS) is serviced by 5 US airlines, 2 Canadian airlines and 1 European airline. 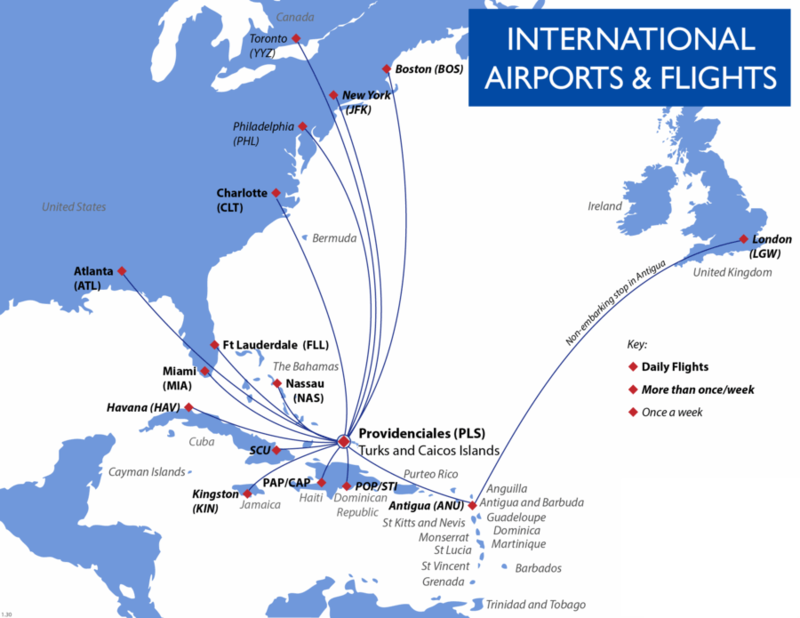 The first flights start arriving around 9am and these are local flights from nearby Caribbean islands. The majority of international flights arrive between Noon – 3PM.